More than 80% of the visitors to your website will not convert. But what if you could get these visitors to return to your website so you could present your offer again? That’s where retargeting comes in. And besides getting visitors back to your site, retargeting can also be used to reach people who didn’t open your email and people who showed a special interest in your product. Even if you already use retargeting, you probably aren’t making the most of it. In this article, I’ll teach you a few techniques that have enabled me to achieve the best results I’ve ever seen with paid advertising. Read on to discover 10 techniques that will help you target your consumers better and deliver more results from your retargeting campaigns. The techniques below will work on either Google AdWords or Facebook Ads. Just consider the two as one medium for retargeting. You’ll need to crunch your data in order to understand what works for you. As an example, you may find that people who visited your website 3 times and spent more than 5 minutes are more likely to buy. You can then create a custom segment and target these people on the Google Display Network. If you know your industry lacks knowledge regarding a specific topic but you don’t think it’s relevant on your main website, you can create a separate website. You are developing accounting software, and you realize that people are looking for reviews. You can create a website reviewing all the software. You notice that people are searching for “How to install [competitor’s product].” Create a website that shows how to install your competitor’s product. Once you’ve created the new website, you can easily retarget warm prospects to your website. 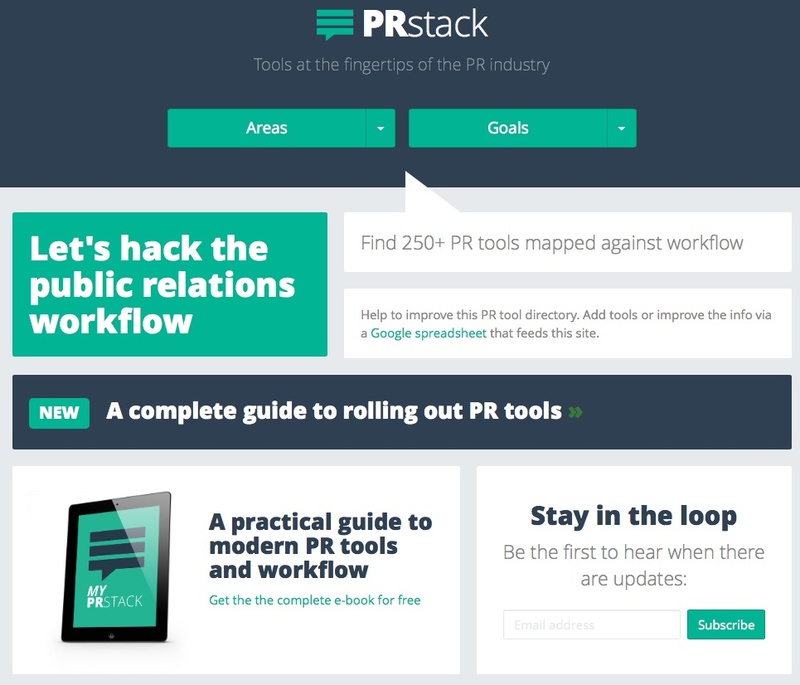 To give you an example, Prezly developed PRStack.co, which features PR resources and enables them to channel traffic back to their product. Look at what your industry is missing and what you can offer to fulfill that need. If you don’t create that website, someone else will. This technique can work wonders if you rank on competitive keywords with your new website. If Google can bring you 100k visitors on a handful of keywords, do it. You won’t regret it. You can track the people who started filling out a form but didn’t complete it. They may have had something else on their mind, or they may have been interrupted. You can create a segment of warm leads who will be ready to fill in that form the next time it hits them. How many people signed up for your product, used it for 5 minutes, and then never came back? Maybe they got distracted, or maybe the timing wasn’t right for them. After a few days of inactivity, you can send them some interesting content to remind them of your product. The main idea is to stay in touch with your past contacts and engage them with new content. Customers are not created equal. Some are more likely to engage and share your content. What if you could target them directly? You can measure engagement of users through an analytics tool like Kissmetrics (using the Cohort Report) or by using a NPS survey. You can then retarget these users based on how engaged they are. Highly engaged users won’t hesitate for a second to share your content with their peers. As an example, let’s say you use Kissmetrics every day and are delighted with their software. You’d be more likely to share something on your medium of choice (e.g., Facebook, Twitter) than to forward their weekly newsletter. In this example, retargeting can allow you to meet your users on their own terms, where they are the most likely to engage with your brand. If you target the right people, you’ll drive more awareness. As a marketer, you run plenty of promotions to acquire customers. But the people who visit your website aren’t always ready to buy your products right away. The important thing is to make sure they remember you when they’re in need of a solution like yours. This is where most businesses retarget. Once a person visits their site, the business will show ads to the person when he or she visits on other sites. You can easily present your offer (even if it was six months ago) at several different times and places. What if you could target people who never open your emails and people who open your emails but never click on them? As a savvy marketer, you’re probably building an email list in order to keep engaging your audience. Think about all the people who never opened or clicked on your emails. You could easily target these people depending on how warm they are. You can then show them different content depending on where they stand within your funnel. 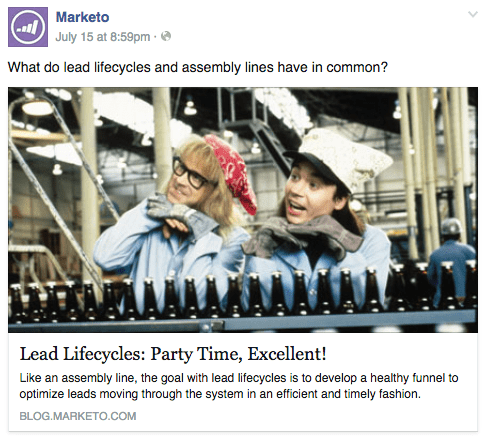 As an example, you might want to show very informative (top of the funnel) content to people who never engaged. You could show use cases and whitepapers to people who click on all your emails. Implementing this tactic might require a bit of development on your end. It is however fairly easy to make a script to synchronize MailChimp and Facebook. Doing this can have a great impact on the effectiveness of your email marketing strategy. People who never opened your emails will finally reach your website. Sometimes cold prospects don’t want to give you their emails right away no matter what you show them. 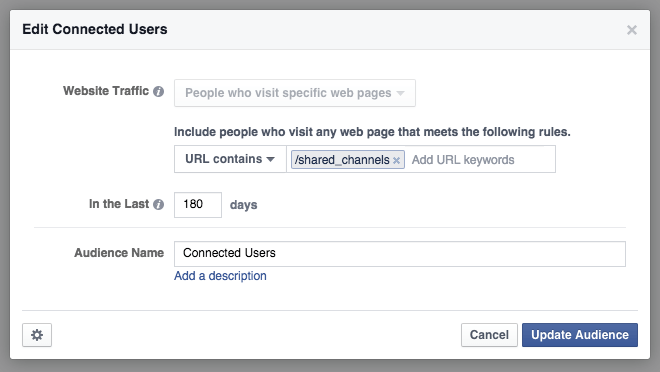 This way, you can funnel your visitor toward interesting content. The warm prospects will convert whenever they want by inserting their emails, while the others will wait until they’re ready. One of the most common methods of retargeting is to base the content you show people on the pages they’ve seen on your website. The content you would show people who’ve seen your pricing page would be different from the content you would show people who’ve seen only your blog. You could also use this technique to show people content that is similar to what they’ve seen before. You could retarget people whose payment failed with an ad saying “Your Payment Failed,” but I’m not sure they would like it. These days, you can collect a massive amount of data about your users. Being able to target people with incredible precision based on that data is a great opportunity for marketers. However, make sure you’re not being too intrusive or annoying. Retargeting can sometimes appear creepy. Use your good judgment to avoid these situations. If you have only a few hundred visitors on your website, you won’t be able to apply most of the techniques above. Make sure you have a decent audience size when you begin retargeting. With a small audience, pay attention to your Budget and Frequency to avoid spamming people. If you can’t get people to buy from you, just let it go. Not everyone is interested in what you’re selling. If you keep showing them ads, they’ll get tired of you and they might even talk badly about you. I sometimes notice that people who look at specific pages rarely convert (e.g., Career page). Knowing that, I exclude these people to improve a campaign’s ROI. Also, pay close attention to the membership duration of your audiences. If you haven’t seen someone for the last 540 days, chances are, they won’t be interested. Therefore, people who saw both your blog and your pricing page will see both ToFu and BoFu content. Make sure the experience isn’t weird for them, or exclude the concurrent audience (target people who visited your blog but didn’t visit the pricing page). I’ve seen people waste hours manually adding and removing customers from retargeting lists… Don’t do that! You’ll waste time and become overworked. The next thing you know you’ll be showing the wrong ads to the wrong people. Linking your CRM (Customer Relationship Management) to your retargeting audiences is also possible. Integrate and automate as much as you can. Do as little work as possible. Automate to the maximum. Make sure the whole process is automated and that you don’t need to do anything to update your audiences. You need to experiment with different techniques in order to discover what works best for you. Techniques highlighted in this article are only some of the ones I’ve tried in the past. Don’t listen to me blindly; test them yourself and brainstorm around new ideas. As an example, in previous campaigns, we realized that pushing content to new audiences and retargeting people who engaged was an incredible source of revenue. When getting started, most people will think about conversions as the ultimate goal of their PPC strategy. This vision is clearly short-sighted. It’s primary to get your goals straight (e.g., generating revenue), but don’t forget other types of advertising that could lead to the same results. We are all building incredible email lists. It’s terrific because sending email doesn’t cost anything and can drive great results. Unfortunately, more and more people aren’t even opening their emails. Gmail and their “Promotion” tab isn’t helping. Something I like to do is send an email and then retarget people who didn’t convert (including those who didn’t open/click the email). If you notice that your emails have a low open rate or a low CTR, retargeting may be one way to talk to these people and win back their attention. Not all leads are created equal. Some are ready to buy and are a great fit for your product, while others aren’t worth your time. Is there a certain geographic locations where poor quality leads are coming from? If so, you may want to eliminate that area from retargeting. For example, if you find that you consistently find yourself getting low quality leads from Mexico, you’ll want to remove people in Mexico from being retargeted. This will make for a more cost-effective retargeting program. Did you know? 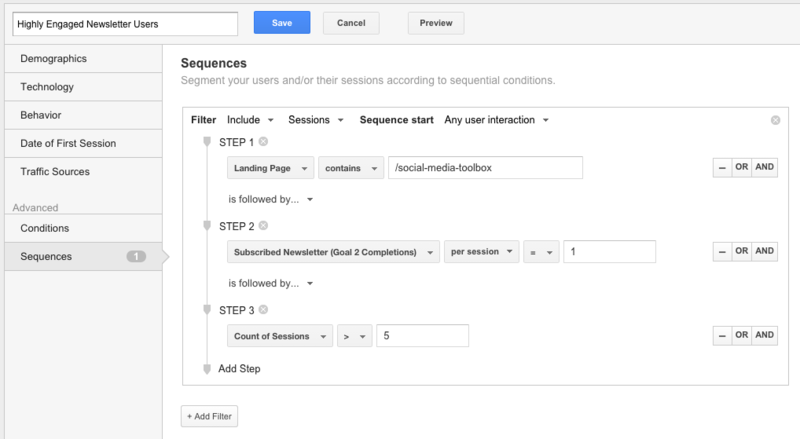 Using Kissmetrics, marketers can track the effectiveness of their online campaigns. You’ll see how many conversions and customers each campaign has delivered, allowing you to comfortably eliminate what’s not working so you can focus on what is. Become a better marketer today with Kissmetrics! Request a personal demo to learn more. Retargeting is very powerful and can show great results. It allows you to target the right people and show them timed and customized offers. By doing so, you can expect to transform cold leads into warm leads and warm leads into customers. That’s everything a marketer could ask for, right? Retargeting can be an incredible source of exposure. Get creative, find new ways to target people, and share them in the comments below. Did you try any of these tactics? What kinds of results did you get? Did you have any trouble implementing them? 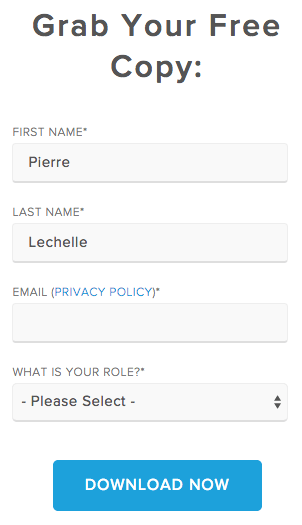 About the Author: Pierre Lechelle helps startups grow through digital marketing and growth hacking. Follow him on his blog or Twitter.